All of the items above are under $100.00, and perfect for the holidays! I just bought those cream colored pants, and they are an amazing fit! So good in fact that I also bought them in black and the plaid. When I find great trousers I need them in every color, so I am sure I will be adding more to that collection in the coming weeks. 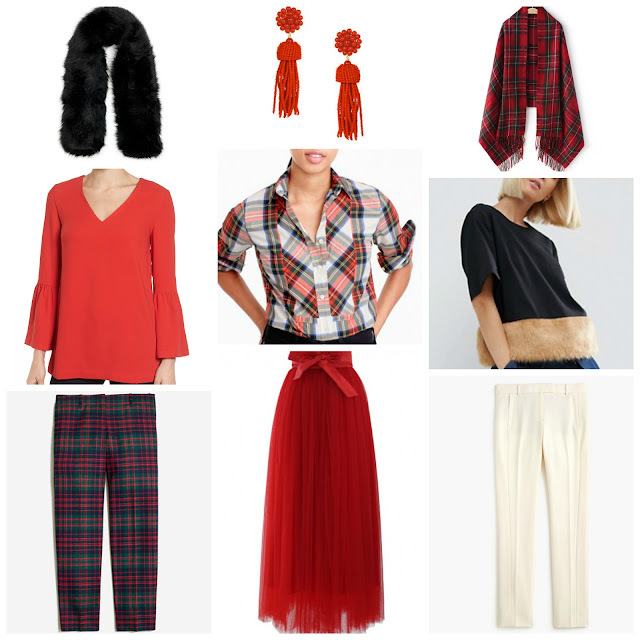 I also bought the plaid shirt, which I adore, and of course I own the red Lisi Lerch tassel earrings because I am obsessed with them and pretty much have them in every color. I am thinking I need the other tops as well, right?! Cheers to shopping deals and a short week!